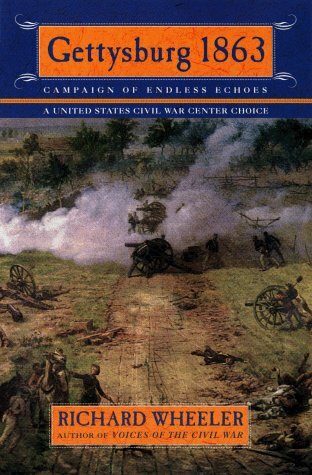 Drawing on a lifetime of research and knowledge, Civil War historian Richard Wheeler caps his career with this masterful account of the bloodiest battle--as well as the single-most important--of the Civil War. By interweaving the stories of actual soldiers and civilians with the technical details of the battle, Wheeler provides a distinguished work of historic literature that re-creates the infamous Gettysburg battle as experienced by those who fought in it and witnessed it first-hand. Illustrated by a dozen original maps and more than one hundred line drawings depicting scenes and portraits of the period, <i>Gettysburg 1863</i> gives today's readers a fresh and unique look at one of the most significant events in American history.